Back in the 1970’s, Dakota Point was a hotspot in the Black Hills of South Dakota for people to meet up, blast loud music on their car stereos, and drink a cold beer while gathered around a bonfire. An entrepreneurial spirit was born in the founders of Dakota Point Brewing from that experience, which would manifest again later in life. Dakota Point remains a popular destination for those seeking a fun, relaxing atmosphere to catch up with friends. The music isn’t as loud, the bonfires are now fueled by propane instead of fallen pine, and only the finest hand-crafted English, Scottish, Irish and American ales are served – but the nostalgia remains. Grab your friends and Get to the Point! Hello, Fellow Craft Beer Lover! Share your love of fine, hand-crafted beers with your friends, family, and co-workers. 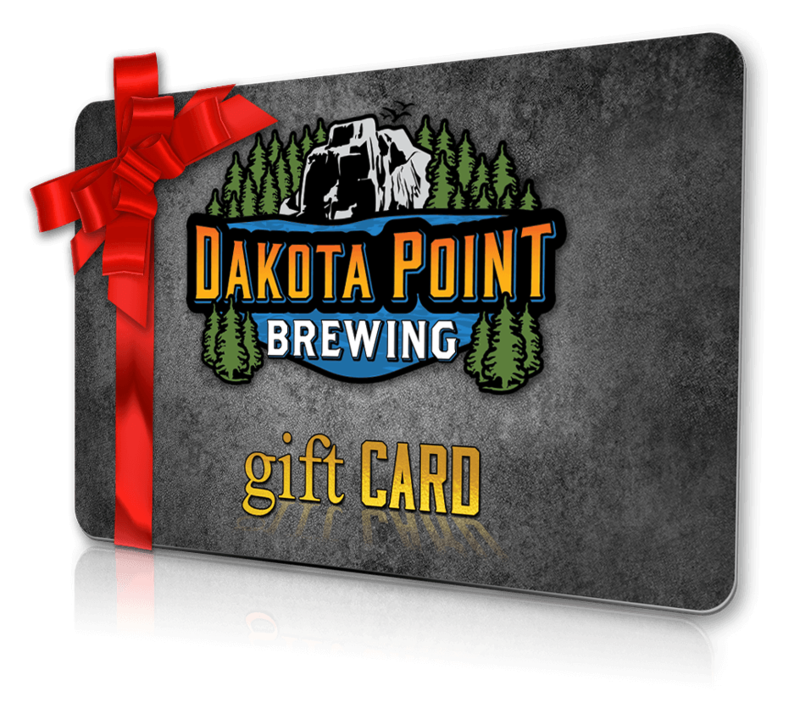 Ask our staff about purchasing a Dakota Point Brewing gift card at your next visit. Our gift cards are a great way to celebrate birthdays, holidays, and more! And don't forget giving the gift of beer this holiday season! Sign up with our contact form to receive updates.